This post brought to you in partnership with WildBrain. 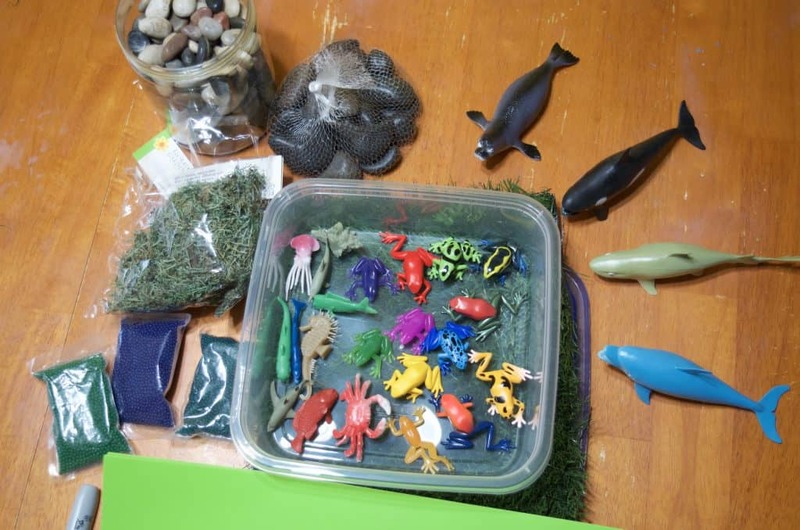 I’ve been using video content from WildBrain on YouTube to strengthen what we learn and curate offline activities like our Wetlands & Water Play Water Sensory bins. It’s a great way to learn on multiple platforms and levels! 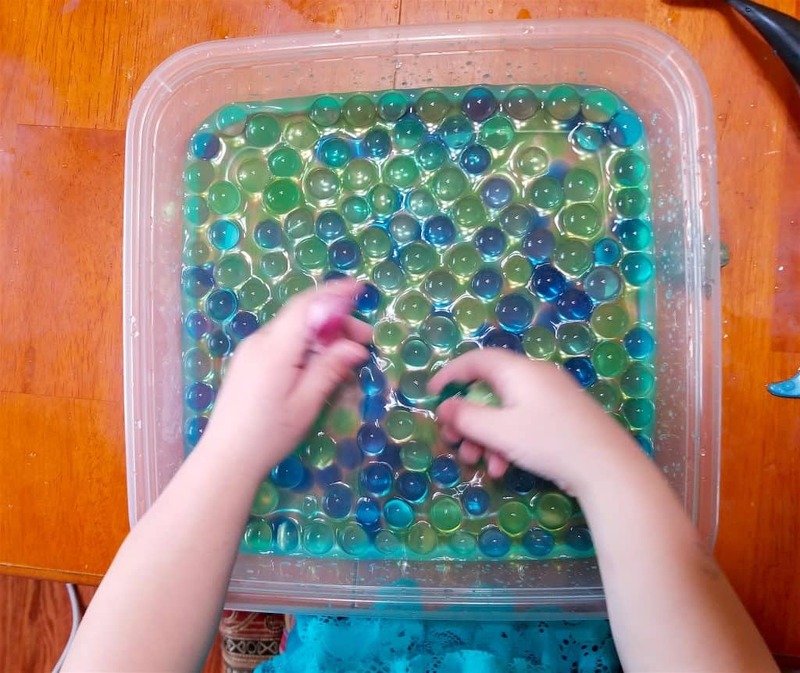 I had been saving a good sized bag of water beads to fill my daughter’s sand & water table with when the weather warmed up but I grabbed a handful to use with our sensory bins! She went CRAZY over these water beads! 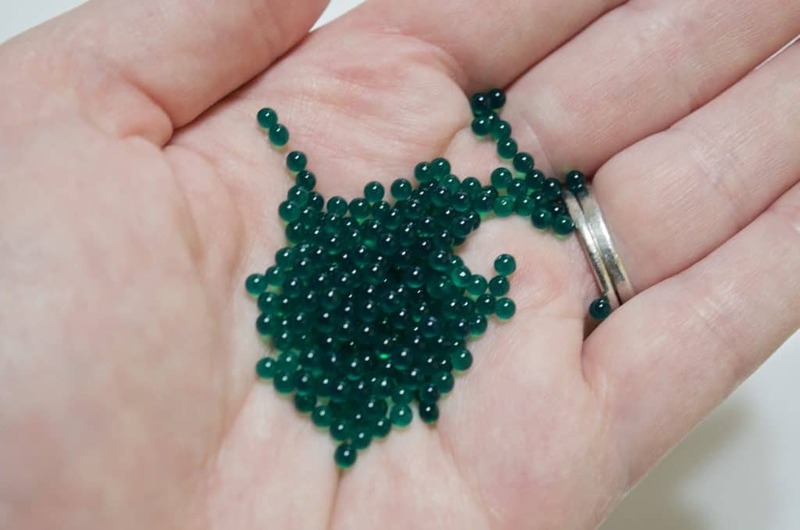 If your kids are older you can use water beads to represent algae, tadpoles, or anything else you’re studying! We made several different habitat bins. The first was our river sensory bin! I used green craft foam and cut out a circle, then cut a small pie shaped wedge out to create lily pads. On the bottom of the lily pads I write numbers on to incorporate counting and math games. The awesome thing about the craft foam is that is floats on water and the Sharpie marker on the bottom doesn’t rub off when it gets wet! 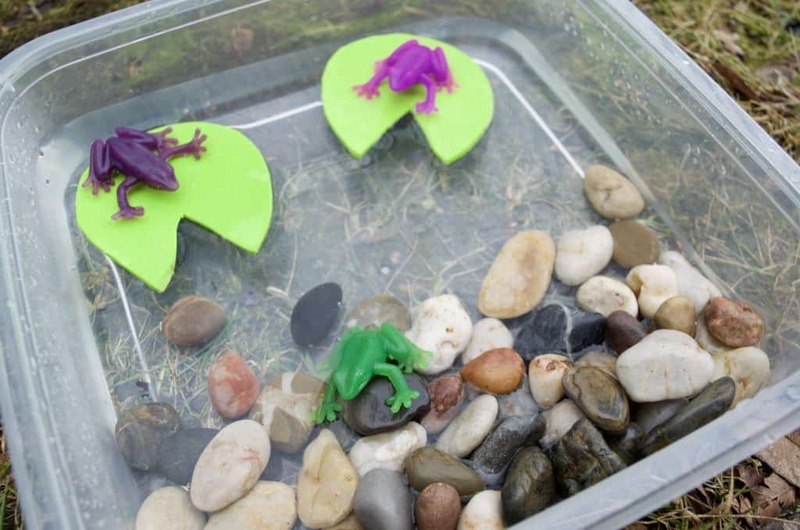 We started out playing with just the water, rocks, lily pads and frogs. This sensory bin above (minus the lily pads) was great play with an otter and/or a seal! You can add some sand too to make it more realistic! When my daughter seemed to be tiring of it then I added the water beads! That provided hours more fun and she has been constantly going back to her water play bin every single day to play. 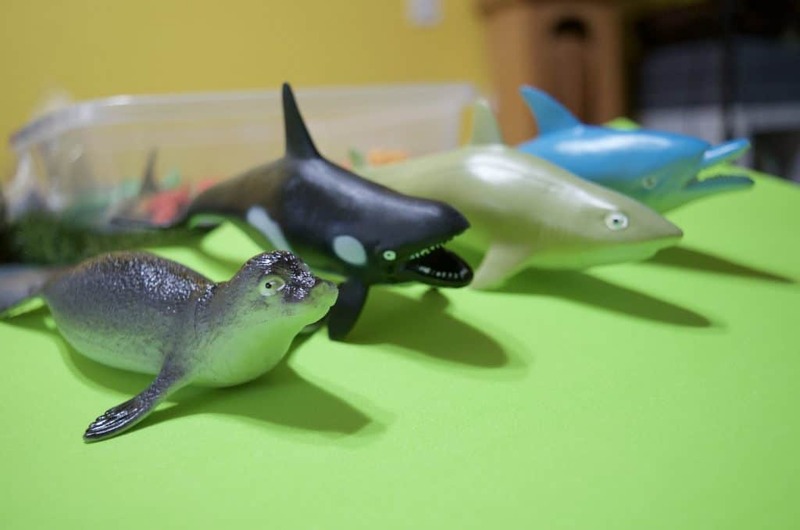 Once we get a bigger container (or use her sand & water table) I picked up these larger ocean animals to play with! Next we decided to move on to the rainforest! 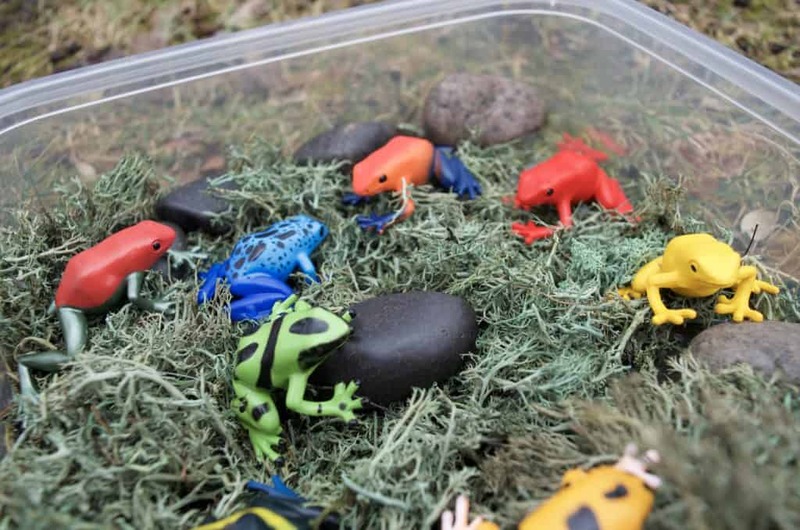 This Rainforest Sensory bin is super fun because it provides an additional sensory experience – moss! The moss is squishy and weird feeling for little kids and provides a great exploration for older kids. I used the poison dart from our TOOB and added a few smooth river stones too. TIP: Take a plastic cup and poke small holes in the bottom. Then fill it with water and you have created rain as the water pours out of the bottom! Penguins – water, container, penguins, blue food dye & ice! Head over to WildBrain right NOW! This is such a good idea. I have a granddaughter that would love learning about wetlands by using these ideas. Thank you! This is fabulous and one I’m going to have to share with a toddler time coordinator. I think the children will love to have this available for them in the water table. 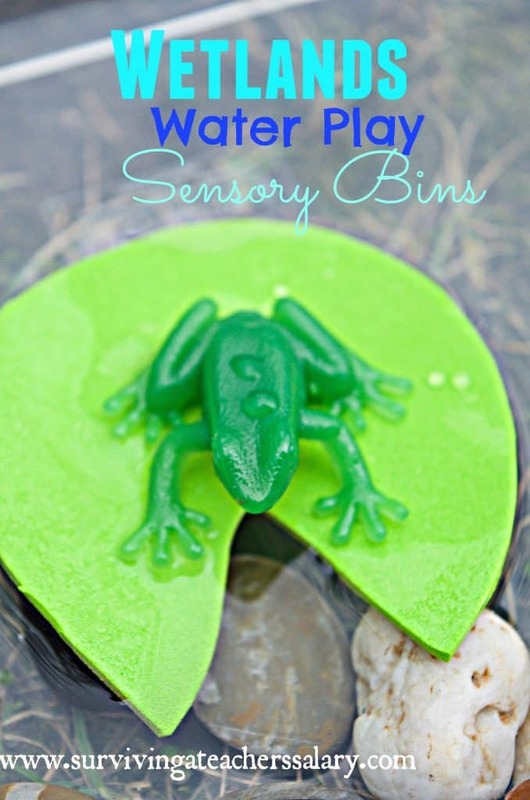 These are great ideas for water sensory bins. Love all of the different ideas you’ve listed. My kids are too old for these now, but I’ve loved that you’ve listed different video ideas for older children. What a wonderful idea, my niece would really really love this! Going to pass this along to my sister and hopefully she will do it when the little one is old enough! This is such a great idea! And I am sure it would keep the kids entertained for hours and be fairly inexpensive, too. So fun! What great, fun ideas! As a homeschooling mom I’m always looking for ways to make learning more hands-on. I love the idea of the sensory one! Perfect way to let your kids learn and play at the same time! I’ll let my children play with these! Looks fun especially for kids. Great way to keep them busy and learn a skill at the same time. 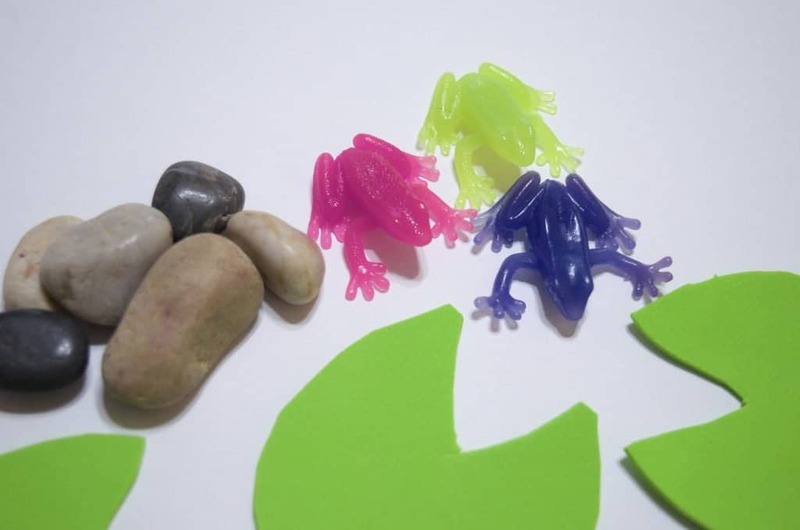 I love this creative idea, it is great for sensory processing and learning through play. This looks like so much fun, especially the frog bin. What is the minimum age for this because I have a niece who is little over a year old now. The biggest concern would be little ones putting things in their mouth and choking. You could skip the moss and rocks and just do the large toys with water! What a fun activity. Our niece and nephew would love this. Thanks for sharing. Great fun ideas, il be sure to try them out with my kids. Thanks. What a great idea for little ones! Fun and educational at the same time.